Anodized aluminum housing with rubber bump cover and leather case. Brunton Omni-Slope is the perfect forestry instrument and, released in 2014, is still a top of the line unit for the 2015 year. 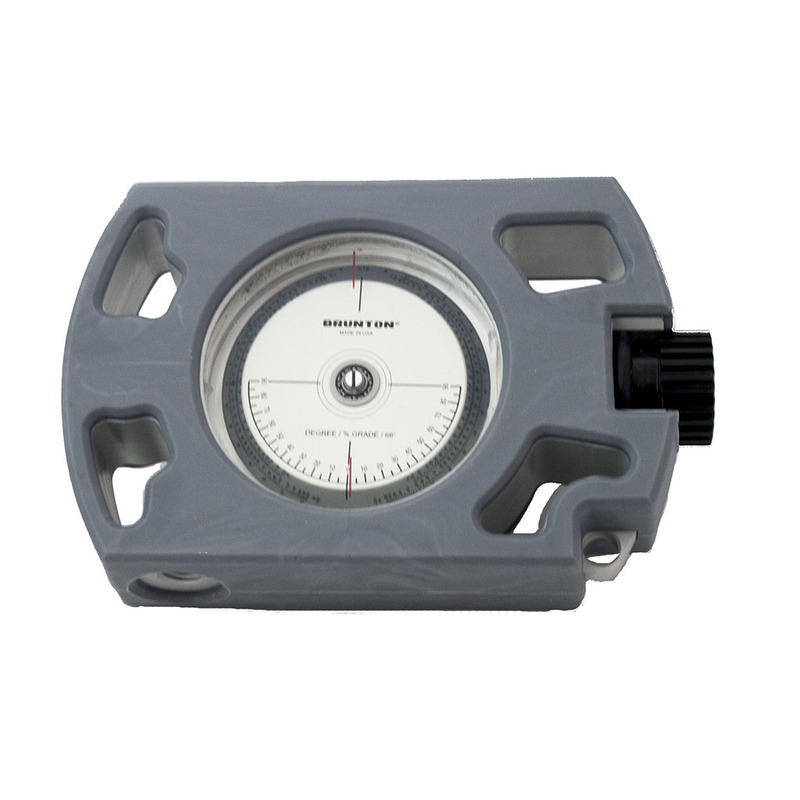 The Brunton omni-slope inclinometer can measure angles in degrees, percent grade and can use the 66 foot forestry chain. 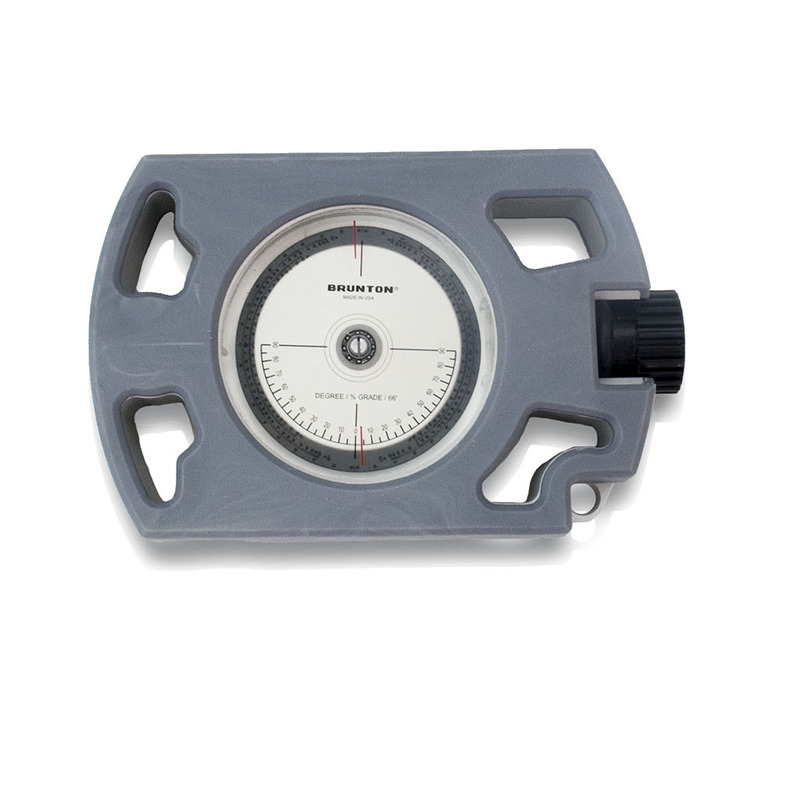 The aluminum housing is extremely lightweight and lends years of field reliability, and its precision pendulum provides fast and dependable readings whether you're gauging the height of a tree, measuring the danger of an avalanche, or judging a cave's pitch. Brunton has taken every possible effort to guarantee years of hassle-free use from your new Brunton product. 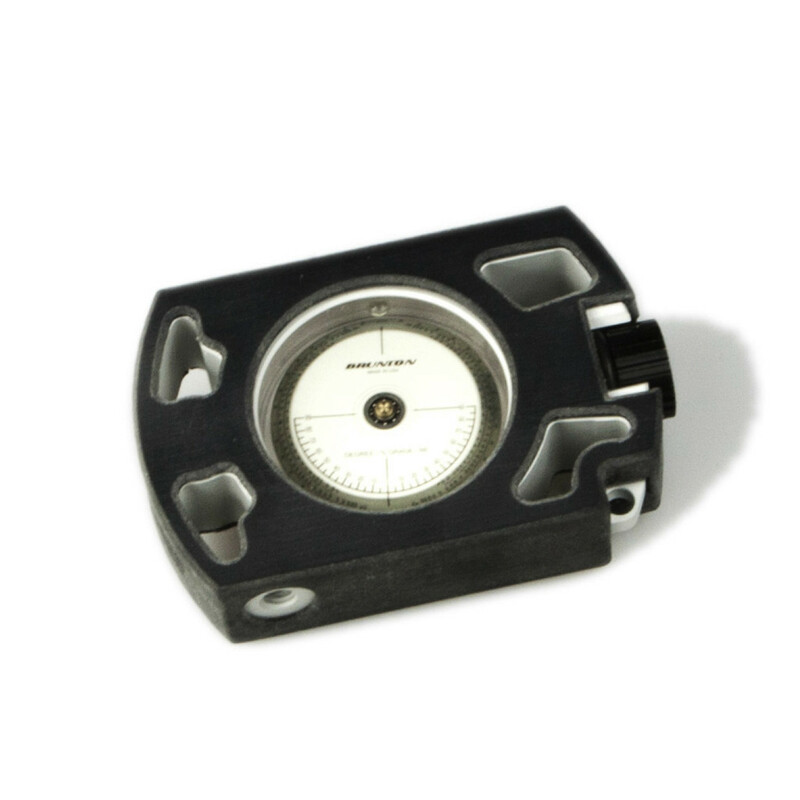 This inclinometer is guaranteed to be free of any defects in workmanship and / or material for one year according to local regulatory requirements. This product is not subject to guarantee from third-parties and its warranty is subject to change. Brunton does often repair or replace with a new equivalent, without charge for parts or labor, but this agreement is made per Bruntonâ€™s discretion. Brunton cannot be held responsible for accidents, damages or injury occasioned by the use of this product. Warranty will be rendered invalid if product is damaged by tampering, negligence, or misuse. Should the product prove defective or need repair, contact Brunton for a Return Authorization Number (RA#). This warranty does not cover theft or loss.